Nếu như đang ứng tuyển cho một vị trí công việc tại các doanh nghiệp nước ngoài bạn cần phải trải qua những câu hỏi phỏng vấn xin việc bằng tiếng Anh, vậy chúng ta đã chuẩn bị thế nào để khi đối mặt với nó vẫn có thể tự tin đây. Cùng theo dõi bài chia sẻ sau đây của chúng tôi để vượt qua những thử thách của nhà tuyển dụng một cách dễ dàng bạn nhé! 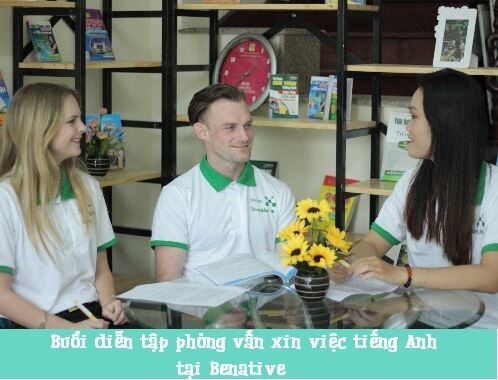 Bạn hãy cùng với trung tâm Anh ngữ Benative đến với bộ câu hỏi có gợi ý trả lời ngay dưới đây để có thể vượt qua vòng sơ khảo một cách thành công bạn nhé! Handling: Remember that employers are asking you to evaluate your suitability for job placement, so be prepared to answer your questions but stick to the job instead of the personal issues. You should only answer about the personal life issue when the recruiter really goes deep and wants to find out. Question 2: Let me know what you dream about? Question 3: Why did you quit your job? How to handle: Give positive responses, for example: I want to pursue a new passion or new opportunity … and especially emphasize in good words about the opportunity. Never say bad old company, old boss or disparaging about treatment … Even if you quit for any reason, describe it in the most positive way possible. Question 4: What are your weaknesses? Answer: When you meet this question, do not immediately list your weaknesses, nor can you confirm that you have no weaknesses. The best solution is to have some weak points in place, but there are strong points in it. For example: I often forget that I have to manually schedule a detailed job and paste it in front of the table … Or I’m not good at talking, so sometimes it’s too easy to lose heart … Answers It will help you turn your weakness into strength. Question 5: What are your strengths? Treatment: For this question, you must be well prepared and remember to stick to the job you are applying for. Please indicate the strengths and strengths you will bring to the job, and do not forget the examples you have made in the previous job. Question 6: Do you know about our work? How to answer: This question is very common, so take the time to research your company, website, friends, or if someone you know is working in the company, the better. Remember to answer the question but stick to your “fit” with the company. Question 7: Why should we hire you? Treatment: If you encounter a personality interviewer, they will challenge you as described above. Answer on the aspect that you need the right job and the company needs the right person. But do not compare yourself to anyone else. Question 8: Do you think you are successful? How to answer: Of course there is. Success does not mean having to surpass all people, so let them know what success you have and if you are ready to explain why you think it is successful. Question 9: Why don’t you have a job in the past? Treatment: You may be unlucky in the past or sick, busy individual … but choose your answer wise and relatively real. For example, at that time I would take an advanced financial course for better preparation or I would join the English program at the international center to match my upcoming career. You will earn points in the eyes of employers. Question 10: What do your former colleagues say about you? How to respond: Let them know that some of your colleagues’ comments about you are positive or are positive. But do not exaggerate those words. Question 11: How long do you plan to work for us? Treatment: If you say the specific time, whether short or long, it is easy to recruit the employer again. The best is the clever answer: “I will make the company forever if both are satisfied” or “I will do my best if it is good for both”. Question 12: Do you think your capacity exceeds our requirements? How to respond: Make sure you are a job applicant and are in need of a suitable job. Do not express indecisive or ambiguous feelings about your competency versus job. Show them that you are the right person. Question 13: Let’s talk a bit about your management skills. Processing: This question is about your high level (human) management or workflow management (lower level). So explain your approach and management in a specific way, with special emphasis on the ability to manage, organize, and coordinate with your peers. Question 14: Are you a good team player? Question 15: What is the philosophy of your job? How to answer: While the question may seem “high,” answer the simplest question. Let’s talk about the value of the work you are aiming at, and associate it with the team, with the company. Question 16: Where do you like to be in the group if you are recruited into our X project? Treatment: Be tactful and imply that you are flexible and accountable, whether as an employee or as a team leader, as important as last resort. Question 17: What things from your colleagues make you uncomfortable? Answer: You may be uncomfortable with certain characters or even regions, but when you do not know who you are interviewing with, you should not say so. Instead, answer the question whether it is uncomfortable or not because of how you see and solve the problem, and even if you are upset, you still have to work and solve the problem. Question 18: Why do you think you fit in that position? How to answer: Emphasize some of your skills that are relevant to your job and your ability as well as experience to solve some of the same difficult problems you have experienced. Question 19: What is more important to you: work or money? Answer: Both are important and you need a balance between the two. Let them know that you also want to get good results for the company. Question 20: What are your most important strengths? Treatment: Choose a strength that your former boss complimented you on how you handled the job to tell them. If you have a recommendation from your former boss, give your employer a boost. Question 21: What is your ability to work? 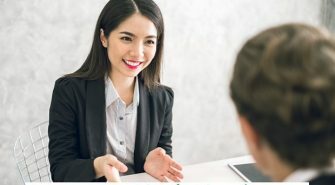 How to answer: To avoid being twisted if you do not respond well, respond in the “appropriate level of pressure to maximize efficiency,” letting them know that you can work under pressure, But the more important thing is the work efficiency and the better if you have an example of a previous job. Question 22: How do I recruit you if you have no experience in this? Treatment: Describe the skills you have to work with confidence. Let them know that some of the positions you have worked on are useful for your current job, including positions when you are still in school (if needed). Question 23: What motivates you to get this position? Answer: Avoid answers like “high salary”, “prestige company” … instead, talk about good working environment, encouraging creativity and learning opportunities. Question 24: How do you consider success with this job? Question 25: Are you willing to put company interests above your personal interests? Treatment: Of course there is. This is a question to try if you are really willing to try for the company or not. If possible, explain why corporate benefits are important to your long-term career. Question 26: What do you want from your boss? Question 27: How do you find that in the last 10 years you changed? How to handle: Please attach the appropriate answer to your resume and show how you progress. Do not forget to show them that you are well-off and motivated. Question 28: What have you learned from the mistakes at work? Answer: Do not have to hide too much, but do not fool too much description. Instead, make some mistakes due to lack of experience and lessons and how you can overcome them effectively. Question 29: If you are an employer, how do you recruit people to this position? Answer: It is difficult for you to guess the intention of the employer because you are not them. Keep in mind the job requirements that employers have set out to match your strengths or skills, and give them suggestions that reflect on their own. Question 30: What are your expectations for the company/job? Treatment: Let them know that you are beginning to get used to the job, so expectations are good working conditions and encourage growth contributing to the company. You can also expect the work that makes you excited to convince the employer. Question 31: Do you need to ask me something? Ask questions: Be prepared with questions at home and fairly frankly ask about issues around the job you are applying for. Listen and understand clearly the answer, do not react hastily rush if the answer is not the point you do not agree. Question 32: Do you think you will succeed with this job? How to answer: Explain that you will certainly succeed based on the relevance of your skills and job requirements. Show them that you are the right person. Question 33: What do you think about the company you just quit? Handling: Negative comments should be avoided, but instead talk about what you learned from your previous job. Also do not go too deep into the business secrets of your former company. Question 34: How do you solve problems in the workplace? How to answer: Confidently answer that the trouble in the work is the basis for people to progress by successful resolution will become a good learning experience. You also tell the employer that you do not handle the problem in a personal way and understand that too rigid handling may not be good. Tell them how you solved the problem and what lessons you learned, which is the best way to convince. Question 35: What do you like to do with out-of-work time? How to answer: You can answer spontaneously for non-work time, which is great if it’s social work that helps you connect people. Nếu như bạn nào trình độ ngoại ngữ còn kém có thể tới trung tâm để tham gia vào các khóa học tiếng Anh giao tiếp ở các cấp độ khác nhau để phục vụ cho công việc một cách tốt nhất. khi giỏi và thành thạo ngôn ngữ này, sẽ có rất nhiều cơ hội nghề nghiệp mở ra với bạn và cuộc đời sẽ có một hướng phát triển theo lối tích cực. 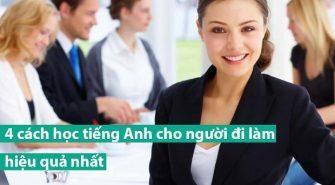 Với mô hình học tiếng Anh nội trú cùng Tây, bạn sẽ được dành trọn thời gian tiếp xúc với người nước ngoài, sống trong môi trường không có ngôn ngữ mẹ đẻ. Dần hình thành nên thói quen sử dụng nó như ngôn ngữ chính thứ hai của mình vậy, được quan sát trực tiếp cách họ phát âm cũng như giao tiếp với nhau, giao lưu văn hóa bên những người bạn đến từ nhiều nơi tụ họp về ngôi nhà chung Benative. Bạn sẽ được tham gia tất cả các lớp học và gia sư riêng hàng tuần để củng cố thêm những lỗ hổng về mặt kỹ năng chuyên môn nếu tham gia hình thức English Homestay tại đây. Những chuyến dã ngoại bên các hoạt động ngoại khóa, sẽ là trải nghiệm đáng quý giúp bạn có thể áp dụng cơ sở lý thuyết vào thực hành một cách thực tế nhất. 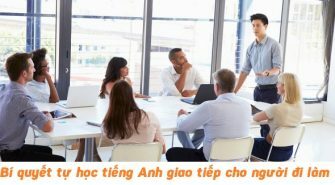 Hàng loại các hoạt động “team building” chính là sự gắn nối để tăng tính tương tác và làm việc theo nhóm bắt cặp thực hành với nhau được hiệu quả nhất, tất nhiên không thể thiếu sự hướng dẫn từ các thầy cô người bản xứ rồi. Một đội ngũ giảng viên nhiều năng lượng luôn cháy hết mình vì sự tiến bộ của học viên, cùng với nhiều năm kinh nghiệm đạt được các chứng chỉ quốc tế, sẽ là người truyền cảm hứng và mang tới chúng ta những bài học bổ ích đấy nhé! Đừng quên họ còn rất vui tính và hòa đồng nữa, tất cả những thắc mắc và nghi vấn của chúng ta liên quan đến bài học đều sẽ được giải đáp một cách chi tiết và cụ thể. Học viên không những được nhận sự truyền đạt trên lớp mà còn được đồng hành cùng các thầy cô ngay cả trong sinh hoạt thậm chí là những chuyến dã ngoại. Cùng chia sẻ những bí quyết cũng như phương pháp học tập hiệu quả nhất để người học sớm nhận được sự tiến bộ và cải thiện vượt bậc. 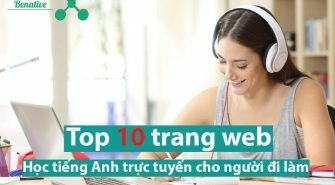 Thư viện với những cuốn giáo trình và đầy đủ các đầu sách tham khảo cho bạn thu lượm kiến thức mà thầy cô chưa truyền tải kịp trên lớp, với ưu thế đến từ những nhà biên soạn lớn và nổi tiếng tại các trường đại học nên chúng ta có thể yên tâm về độ chính xác của nguồn kiến thức từ đây. Môi trường học tập đảm bảo cho việc rèn luyện với những đầu tư mạnh tay cả về cơ sở vật chất đến các trang thiết bị dạy và học, chúng ta chỉ việc ôn tập và rèn luyện thật tốt những yếu tố chi phối khác đã có trung tâm lo. Học phí cũng không phải là vấn đề bạn có thể bỏ qua, nhưng với mức phù hợp và hợp lý tương xứng với những chất lượng và thành quả kèm theo sự tiến bộ mà học viên nhận được chính là lời giải đáp thật tuyệt cho vấn đề nhạy cảm này. 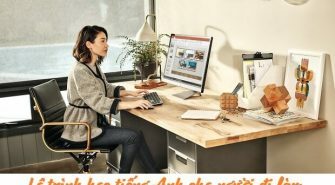 Hãy cùng nhau đến với lớp học tiếng Anh giao tiếp Benative để có một hành trang vững chắc về ngoại ngữ, dễ dàng phá bỏ rào cản và thật tự tin đối diện với những câu hỏi phỏng vấn xin việc bằng tiếng Anh đến từ phía các nhà tuyển dụng khi bạn muốn ứng tuyển một vị trí công việc từ tổ chức doanh nghiệp quốc tế này.